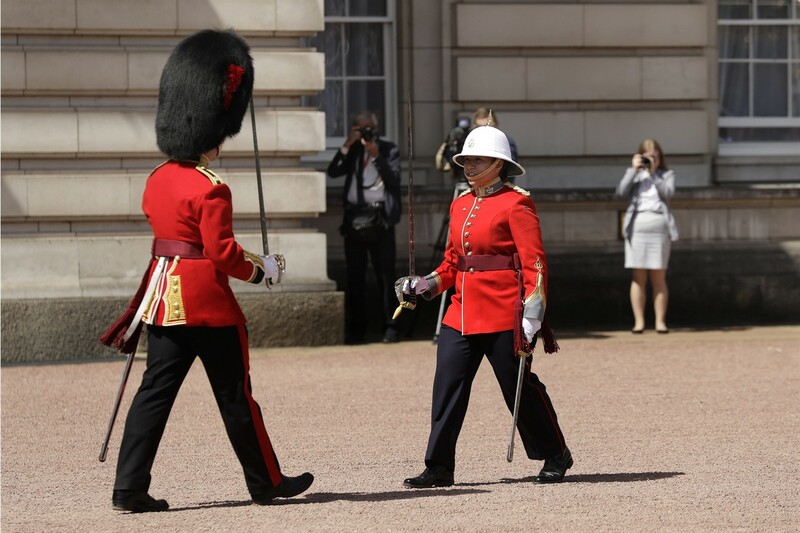 A Canadian captain made history Monday by becoming the first female infantry officer to lead the Changing of the Guard ceremony at Buckingham Palace in London. Megan Couto led her unit —the Second Battalion, Princess Patricia’s Canadian Light Infantry or “The Patricia’s” — in the ceremony, an event witnessed by thousands of tourists annually. The unit was invited to Britain to mark the 150th anniversary of Canada’s confederation. The role of Mounting the Queen’s Guard usually falls to the British Army’s Household Division, which is part of the male-dominated infantry division. Canadian women have been allowed to serve in the infantry since the 1980s. The Princess Patricia’s Canadian Light Infantry is based in Manitoba, Canada. The unit is named after Princess Patricia of Connaught, a granddaughter of Britain’s Queen Victoria.